You are required to check your Delgado email account for important announcements and communications from the College such as instructor communications, financial aid, etc. See Student’s Responsibility . A robust email and cloud computing system is available to all Delgado students hosted by Microsoft. Using Microsoft Outlook 365, you have access to a 50 GB mailbox, group calendaring, shared online documents using Office Web Apps, blogging tools, and much more. Also, because Microsoft Outlook 365 is browser based, students have access to all of these services from virtually any computer or mobile device with an Internet connection (e.g. cloud computing). You are required to check your Delgado email account for important announcements and communications from the College such as instructor communications, financial aid, etc. If you are a continuing student admitted prior to Fall 2012, your Delgado email address will be the first initial of your first name and first five letters of your last name, along with a randomly generated number (i.e. doe12345@dcc.edu). If you are a new, re-admit, or transfer student admitted Fall 2012 or later, your Delgado email address will be the same as your LoLA username (i.e. - johndoe@dcc.edu). Click LoLA Login at www.dcc.edu. 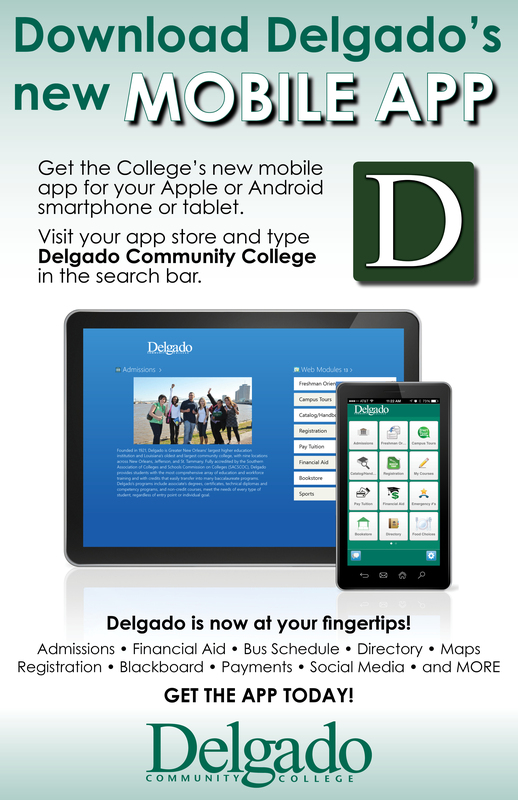 Select Delgado Community College under Self Service. Your Delgado email address is listed under your Campus Email Address. When the login box appears, enter your user name and password. Click OK.
i. First-time users: your password for Delgado email is the last four digits of your social security number. ii. Returning users: If you are a student who has previously activated your Delgado email, you have already changed your password. Please regularly delete messages that you no longer need and empty your Delete folder in order to keep your mailbox open to new messages. After you log in to your email account, click on Deleted items folder. Select the Empty Deleted Items icon. Go to www.dcc.edu and click on the Email link. On the Email Login Page, click Password Help Page. Delgado Community College provides instruction through Canvas Learning Management System (LMS). Delgado online classes are scheduled with the same dates as those delivered on campuses and sites. They are often designated with TBD as the room number. Online classrooms are available on or by the first day for class each term. If you do not see your course in Canvas on the first day of class, contact the course instructor. If you are attending a class on a campus or a site (face-to-face or hybrid), your instructor may or may not open a Canvas course site. If I attend class online, do I still need to come to campus? The Division of Distance Learning and Instructional Technology (DLIT) is working across the institution to minimize the need for students enrolled in online classes to conduct business or course sessions in person. There may be an occasion where an instructor or support service staff require you to come to a campus or site. Regarding course requirements, please review your course syllabus carefully. Delgado online classes may require proctored (supervised) exams or learning activities associated with verification of the student’s identity. Online students may have the option to go to a Delgado Community College campus/site or a convenient off-campus approved testing site such as another college or an online testing service. Some courses require use of technology and a proctored testing software or service where additional fees may be assessed. Online proctoring charges are approximately $15 per one-hour exams for courses in which online monitoring is required. However, the above proctoring rate is only an estimate, as course and testing requirements for online courses vary. In addition, Delgado Community College provides Respondus Lockdown Browser (RLDB) and Monitor Tool. RLDB is free to download. The link is specific for Delgado Community College and you will need to obtain the link from your instructor. If your instructor uses RLDB with Monitor, a webcam will be required. Delgado students are responsible for checking with the instructor before the online course begins to ensure that the projected additional costs and the student’s schedule and location enable successful completion of all course requirements. Where can I get Canvas help? Canvas LMS provides 24/7/365 help via phone (844-408-6456), chat, or email. The helpdesk is able to support Canvas issues and troubleshoot or guide you with outside issues such as email help, LoLA password reset, and publisher and vendor product help. Students should be enrolled in a Student Canvas Orientation Course that will help them learn how to use the Canvas LMS. If you are not already enrolled in the orientation course, please request enrollment by contacting canvas@dcc.edu and providing your LoLA username and LoLA ID. In addition, students who attend Delgado Community College fully online will be automatically enrolled in the Online Only Student Lounge. The lounge is a Canvas course site set up to provide information and respond to questions about the learning online experience. For more information, see Distance Learning and Instructional Technology Student FAQs. 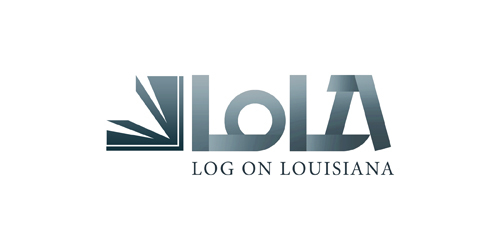 Go to LoLA (my.lctcs.edu) or click LoLA Login at www.dcc.edu. You cannot register for classes until you receive your username and password. This information will be e-mailed to you. New applicants: this information will be e-mailed to the address you placed on your application. Continuing students: this information will be e-mailed to your Delgado email account. Access your username by clicking the link “Don’t know your username?” You will not receive a username and password until the College has assigned a decision on your application. Select “Submit” in order to move to next steps. For a trial schedule or advice on class selection, please see your advisor. View our registration videos for help with scheduling classes. Select Student>Registration> Add, Drop or Withdraw Classes. Select a Term then click submit. Select a Subject (Course Name). clicking Advanced Search allows other options in your search: course number, title, campus*, instructor, start/end times, days of the week. This may exclude some of the classes offered. To see the maximum number of classes available, only include course name, course number, and campus* in your search criteria. Once you have found the class you would like to enroll in (be sure you are selecting the correct campus code*), click the box next to the class. Scroll to the end of the page and select Register. If registration was successful, you will see the class on your current schedule. Do I need to submit a Financial Aid Appeal or Check my Appeal decision? If you are selected for verification you will receive an email, which will be sent to the email you provided on your FAFSA. See link: www.dcc.edu/student-services/financialaid/default.aspx. *You MUST accept Terms & Conditions before you can Accept Award Offer. Select Award>Award for Aid Year. Select Term & Conditions; Read then click ACCEPT. Now the Accept Award Offer Tab will allow you to click on it. Select Student>Student Account>Account Summary by Term. Disbursement has occurred if your account balance is negative. Refunds have occurred if your account balance is zero ($0.00). Under here you will see a list of information you can update. You can install Microsoft 365 software on up to five computers, including Windows and Mac, and also access Office mobile applications on iPhones and Android phones. The software has the same features and functions as other versions of Office and can be used offline; however, you must connect to the Internet once every 30 days to verify you are still eligible for the program. 3. Click on the gear icon in the upper right corner, and then select Microsoft Office 365 settings. 4. Click Software in the left menu. 5. Select your desired Language. 6. If you are installing Microsoft Office for Windows, Microsoft recommends using the 32-bit installation. 7. Click Install to download and install the latest version of Microsoft Office.